Are you planning to launch a multi-city portal where event organizers can advertise their events? but don’t know what event directory WordPress Themes will full fill your needs. You already know, starting a new venture can be confusing especially when you don’t know exact things about your new website idea. Let’s say you own an Event Directory site on Newyork based city and you got it to the top of the search engines for all the local events key phrases. Then every event manager would pay you a fee to put up a webpage on your site. Because that way they can benefit from selling huge tickets from your site. OR If you’re new in this field, you have to collect every events information in your town or can call them to list their event on your site. As you know, WordPress is the great platform for creating any type of website including the ticket-selling website too. WordPress is fully customizable thanks to millions of themes and plugins available for this platform. So for creating Event Directory website on WordPress, you need a theme for such functionality. 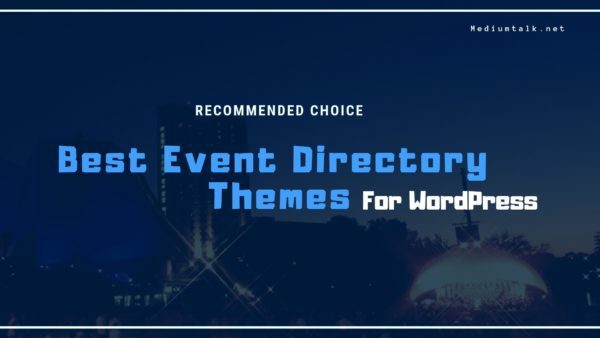 So without wasting time, here’s the list of Top Event directory themes for WordPress OR event listing WordPress theme. The only theme you need. 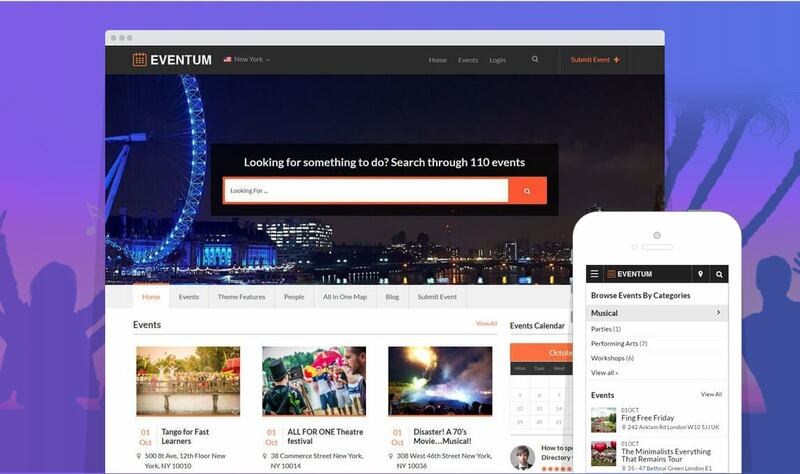 With Eventum theme you can create a powerful event portal. Eventum is easy to use and customizable events manager WordPress theme. If you’re looking for a simple, easy and quite attractive event listing theme where people can advertise their event, then Eventum is a perfect choice. This powerful event management theme comes loaded with a wide range of functions for both admin and event organizers. 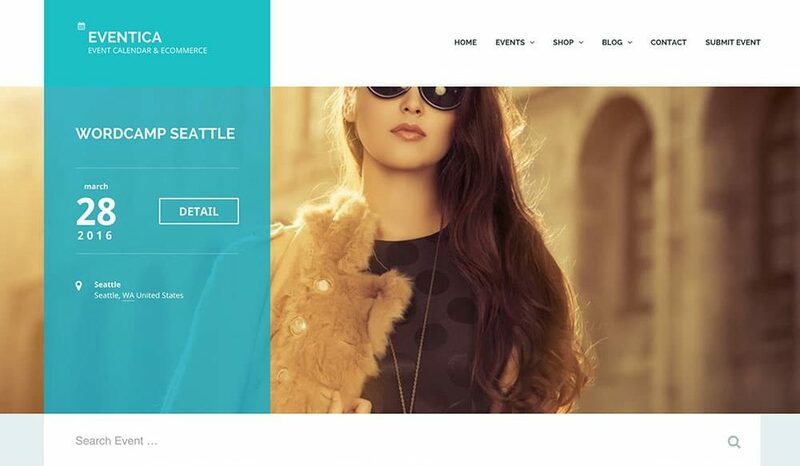 This powerful, modern and stylish theme can also be used for event ticketing and registration of attendees when used with the free WooCommerce plugin. And you will happy to know that this stylish Events WordPress theme for event management is fully responsive on a mobile device. That’s not all, Eventum has a built-in mobile app view option. Once activated, your website will look like an app on your mobile devices. The mobile app view can easily be switched ‘On’ or ‘Off’, the choice is yours. Would you like to see how your events software will look like on different devices? Get your mobile ready and give this theme’s demo a try. Event Guide is the another recommended theme you’ll need to create an event directory portal. Its unique features cannot be found in any other theme on the market. This Theme is compatible with Events Pro plugin (plugin is not included in the theme package) that allows you and your customers to administer events in your portal. This allows you to build a highly rated city or country website. It can be used for concerts, social events, bar camps, museums or galleries. The only thing you don’t like it is that Extension plugins are not included in the theme package. And theme and plugins do cost more, but I think it’s worth to invest in such a powerful theme. If you hire developers for such theme it would cost more than $10k. 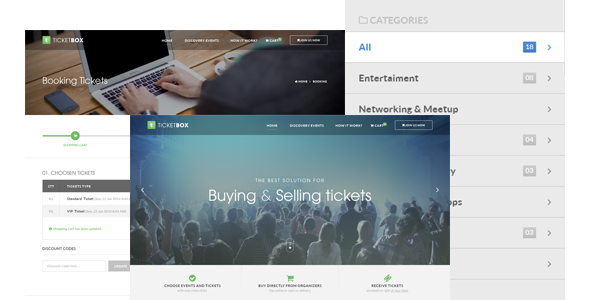 TicketBox is a very elegantly designed WordPress theme built to create a website for Concert, Conferences, Events, Meetups, Sports and Exhibitions. This theme will help you to Sell conference ticket online by using Event Tickets Plus or you can also sell your event ticket using WooCommerce, to add daily schedules, to promote your speakers, to organize and create awesome Events where people can find and buy event tickets from organizers and much more. Give TicketBox Theme a try today and promote your conference. This theme is straightforward. Eventica has more of a focus towards creating a website to list the details of multiple events or sell tickets with WooCommerce, rather than just building a traditional events website. This theme has 3 demos that you can explore using standard features and additional extensions too as below. Eventica has a great design and its three prebuilt modes make it a flexible tool that offers plenty of options for how you want your site to handle events. 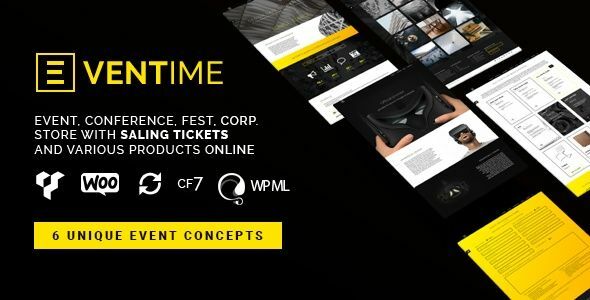 Eventime is an Event WordPress theme exclusively built for the event, conference, summit, meetup, workshop, festival and selling tickets integrated websites. It is fully Responsive, Retina Ready and Easy to customize. This theme’s modern design and specialized features enable you to represent any kind of event, whether that be a scientific congress, business meetings, interactive performances, presentations, party or concert.